Lishman thought he had his life back. He was wrong. Lishman, a journalist with a talent for trouble, was framed for the murder of a woman and had to fight to clear his name. Now he finds himself in an even more dangerous situation. A shadowy group wants him to work for them, spreading their lies in the media. Lishman investigates a massive conspiracy that threatens his sanity and risks the lives of those close to him. And what about his dangerous old friend Marty, who’s returned from the dead, and wants to ruin Lishman’s life all over again? 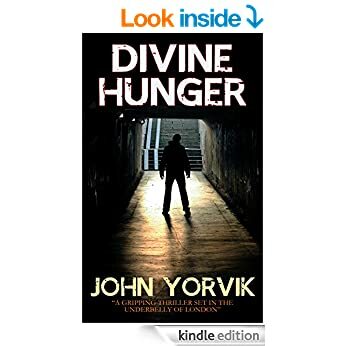 “Divine Hunger” is the second book in the Camden Noir trilogy, Book One, “Pretty Girls Make Graves,” is available now.